Rajiv Mohabir is an Indo-Caribbean American author of two acclaimed poetry collections and four chapbooks. His award-winning debut collection, The Taxidermist’s Cut (2016)—an exploration of sexuality and culture—was selected by Brenda Shaughnessy for the 2014 Intro Prize in Poetry by Four Way Books and a finalist for the 2017 Lambda Literary Award in Gay Poetry. 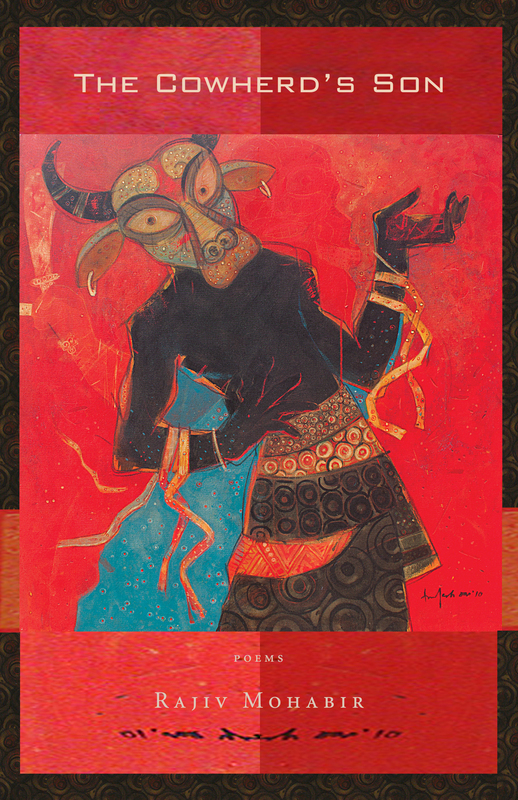 Mohabir’s second collection, The Cowherd’s Son (2017), won the 2015 Kundiman Prize. Winner of the inaugural chapbook prize by Ghostbird Press for Acoustic Trauma, he is the author of three other multilingual chapbooks: Thunder in the Courtyad: Kajari Poems, A Veil You’ll Cast Aside, and na mash me bone, and na bad-eye me. Fluent in Hindi, Bhojpuri and a dying language known as “Guyanese Hindi,” Rajiv was awarded a 2015 PEN/Heim Translation Fund Grant for his translation of Lalbihari Sharma’s Holi Songs of Demerara, published originally in 1916. Mr. Sharma was an indentured laborer, as well as a singer and a musician, on the sugarcane fields in Guyana. He was the first Indo-Caribbean writer to write and publish in his native dialect, a mix of Bhojpuri and Awadhi. 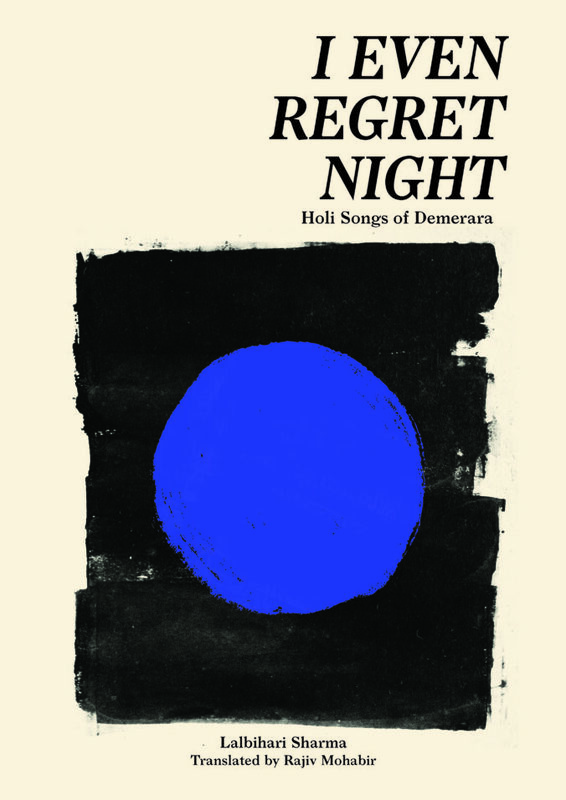 His most recent collection, I Even Regret Night (2019), is a translation of this text. Mohabir’s poem “Ancestor” was chosen by Philip Metres for the 2015 AWP Intro Journal Award. His poems also received the 2015 Editor’s Choice Award from Bamboo Ridge Journal and the 2014 Academy of American Poet’s Prize for the University of Hawai‘i. His poem “Dove” appears in Best American Poetry 2015. Other poems and translations appear in journals such as Quarterly West, Guernica, The Collagist, The Journal, Prairie Schooner, Crab Orchard Review, Drunken Boat, small axe, The Asian American Literary Review, Great River Review, and PANK. He has received several Pushcart Prize and Best of the Net nominations. He has received fellowships from Voices of Our Nationʻs Artist foundation, Kundiman, The Home School (where he was the Kundiman Fellow), and the American Institute of Indian Studies language program. Rajiv holds a BA from the University of Florida in religious studies, an MSEd in Teaching English to Speakers of Other Languages from Long Island University, Brooklyn, an MFA in poetry and literary translation from Queens College, CUNY where he was Editor in Chief of Ozone Park Literary Journal, and a PhD in English from the University of Hawai`i. Rajiv is currently on staff at Auburn University in Alabama, GA. 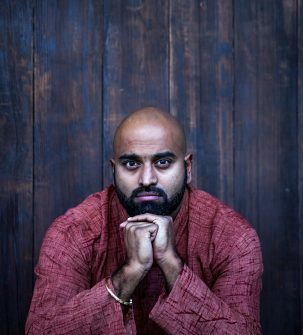 Award-winning Indo-Caribbean poet Rajiv Mohabir (born 1981) brings his own poetic swagger and family history to a groundbreaking translation of Lalbihari Sharma’s Holi Songs of Demerara, originally published in India in 1916—the only known literary work written by an indentured servant in the Anglophone Caribbean. Sharma, originally from Chapra in the current Indian state of Bihar, was bound to the Golden Fleece Plantation in British Guyana. His poems about the hardships of “coolie” life on the island were originally published in the Bhojpuri dialect as a pamphlet of spiritual songs in the style of 16th-century devotional poetry. I Even Regret Night brings Mohabir’s new translation of Sharma’s text together with a contextualizing introduction by Gaitra Bahadur, who found the manuscript in the British Library, and an afterward by Mohabir exploring the role of poetry in resisting the erasure of this often-overlooked community. Broadening the scope of his award-winning debut to consider the wider Indo-Caribbean community in migration across the Americas and Europe, Rajiv Mohabir uses his queer and mixed-caste identities as grace notes to charm alienation into silence. Mohabir’s inheritance of myths, folk tales, and multilingual translations make a palimpsest of histories that bleed into one another. A descendant of indentureship survivors, the poet-narrator creates an allegorical chronicle of dislocations and relocations, linking India, Guyana, Trinidad, New York, Orlando, Toronto, and Honolulu, combining the amplitude of mythology with direct witness and sensual reckoning, all the while seeking joy in testimony.